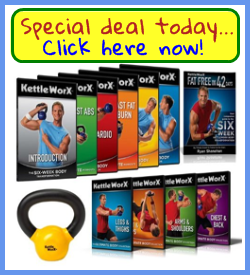 Kettlebell workout exercises are some of the best fat-burning workouts available. These exercises rev up your metabolism. You may have always associated lifting weights with gaining muscle. Unlike traditional weight training, there is no support provided by a bench or a machine. This can fatigue your body in a shorter amount of time, and provide an intense workout in twenty to thirty minutes. Here are some kettlebell workout exercises that will help you shed calories. Remember to learn and practice correct form and safety procedures. With kettlebell workout squats, you are engaging lots of muscles at the same time, and improving your core strength. Holding a kettlebell in both hands, stand with your feet hip width apart. Bend your knees while keeping your chest out and your shoulders back. Lower slowly into a squat position, with the weight towards the floor. Make sure that your abs are tight and your knees stay behind your toes while in this position. Push back up by squeezing the glutes, making sure not to lock the knees. Return to the start and repeat 10-15 reps. 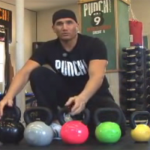 This is an incredibly powerful kettlebell workout exercise that really works the core muscles. Start in a lying position. Rest on your back with your right leg stretched on the ground and your foot on the floor with your knee up. Holding the kettlebell up over your head with your left hand, raise the kettlebell to the ceiling. 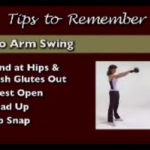 Prop up your right elbow. Roll up slightly on the shoulder and to the side to prop yourself up. Keep your raised hand straight and look up at the weight during the exercise. Once you are lifted up, change from balancing on your elbow to your hand and then extend the right leg out fully. Continue to raise your left hand and gaze at the weight above you. Now, move your right foot back and underneath you, placing the knee on the ground. At this point, you have your left arm still raised, your left foot is still on the ground, and now your right knee is also on the ground. From this position, stand up by rising up on your left knee and moving your right leg to a standing position. Keep the weight above you. 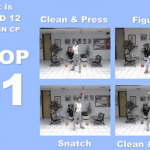 Once you are standing, reverse back to the lying position again and change sides. These are just two effective kettlebell exercises that will raise your metabolism and help you lose weight. You can do a full body workout with a kettlebell in about 30 minutes. These kettlebell workout exercises are a fast way to get powerful results.